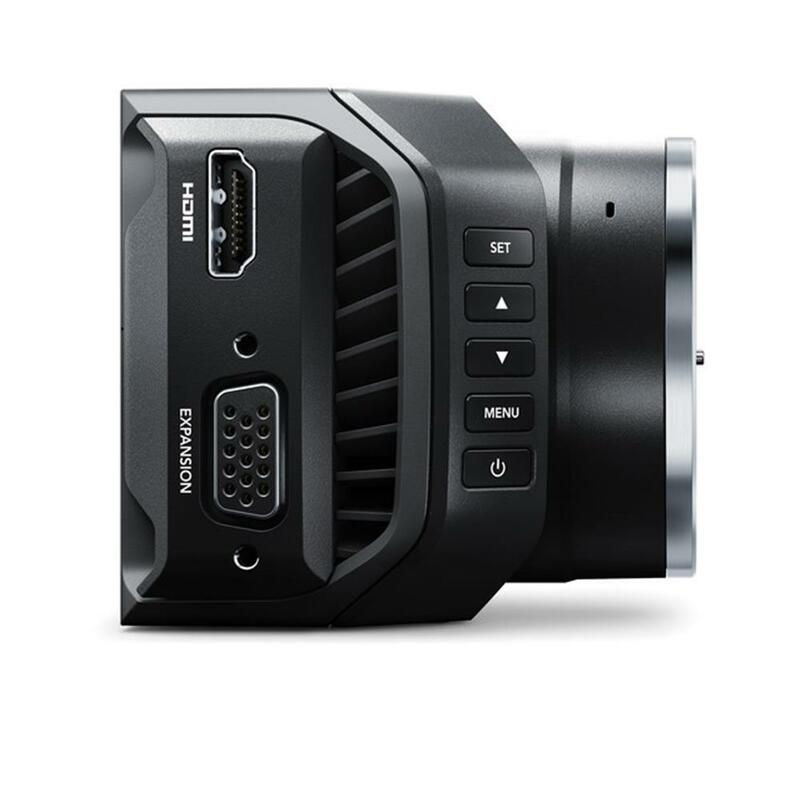 The Blackmagic Micro Studio Camera 4K is an incredibly tiny Ultra HD studio camera that's perfectly designed for live production. You get a full Ultra HD resolution camera that can be used in HD and Ultra HD video formats and it can be fully controlled from the switcher via the SDI control protocol. Micro Studio Camera 4K includes powerful features such as built in color corrector, talkback, tally indicator, PTZ control output, built in microphones, backup battery, an adaptable MFT lens mount and B4 lens control output. This means Micro Studio Camera 4K is a true studio camera that is dramatically better quality than the biggest and most expensive studio cameras used today. professional broadcast lens and a Blackmagic Video Assist for monitoring. 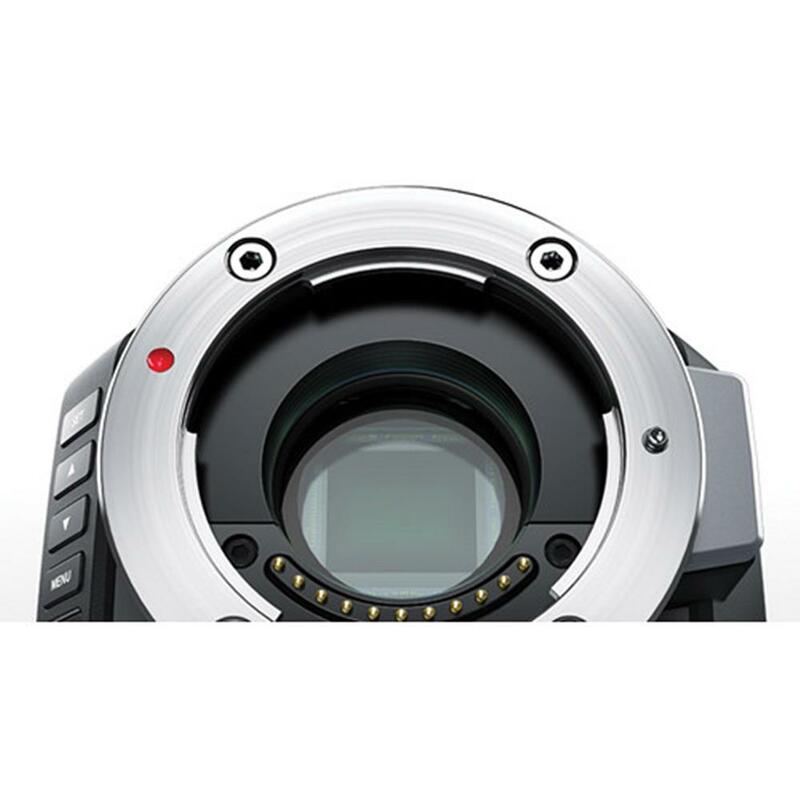 The Blackmagic Micro Studio Camera 4K is engineered with a super tough magnesium alloy core in a body that's not much larger than the lens mount itself! You can use affordable, high performance MFT lenses or add a B4 adapter to work with traditional broadcast lenses. The Micro Studio Camera's SDI program input accepts commands via the SDI connection from any ATEM switcher so you get remote control of camera settings, color balancing, black level, gamma, lens focus, iris and zoom control and much more. 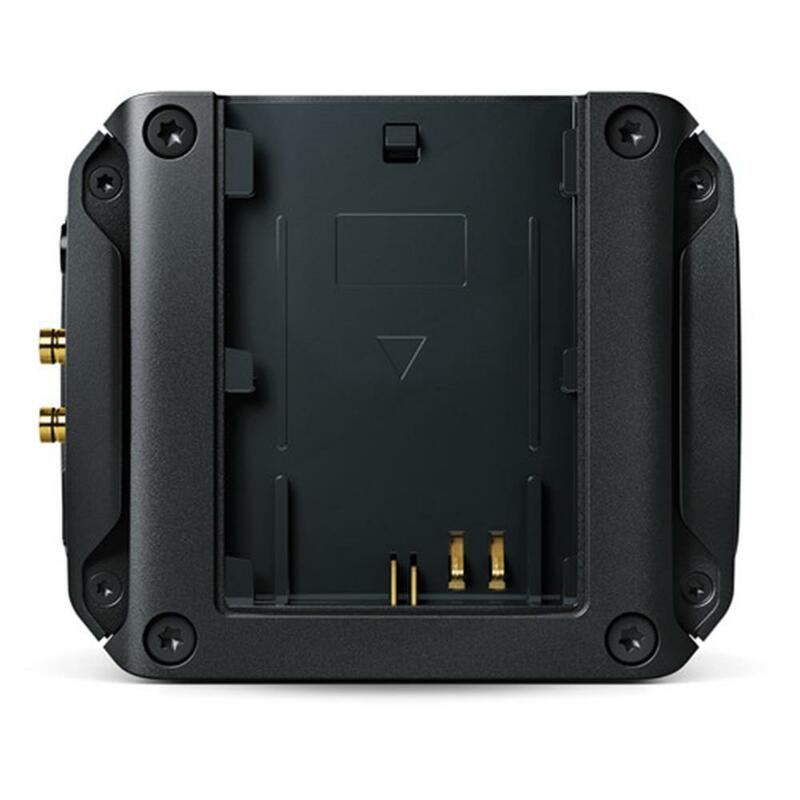 The expansion port includes PTZ and B4 lens control outputs so you can remote control remote heads and broadcast lenses all from a single SDI connection. The Micro Studio Camera is perfect for remote use because it includes an expansion port with multiple control connections such as a PTZ serial output connection so you can use motorized heads, B4 data link output for controlling broadcast lenses and you can even build customized camera control solutions using the S.Bus input. The expansion connector uses a common DB-HD15 connector so you can easily make your own cables or use the breakout cable that's included. The expansion port also includes DC camera power in, LANC and reference input. The Micro Studio Camera 4K includes an incredible quality broadcast grade Ultra HD sensor for amazing clarity and the finest textures. Ultra HD is even more important when you're working in HD because the extra sensor resolution completely eliminates any color loss from the sensor's bayer pattern so you get full bandwidth RGB HD color and superior sub pixel anti-aliasing for amazing fine image detail. 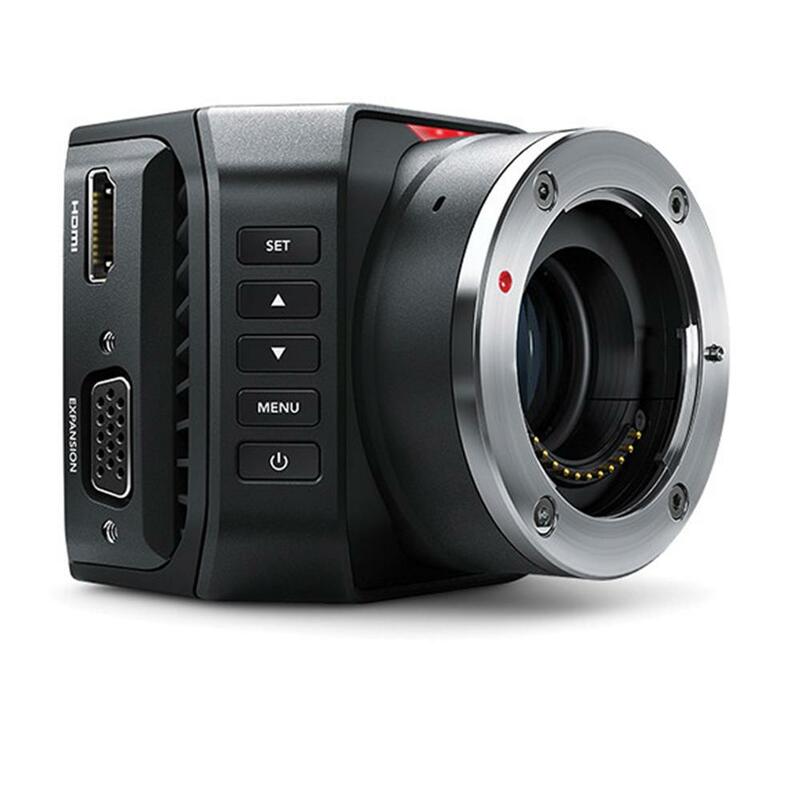 The Micro Studio Camera 4K has a 6G-SDI connection so it works up to 30 frames per second in Ultra HD and can also be switched to 3G-SDI or HD-SDI so it can operate up to 1080p60. 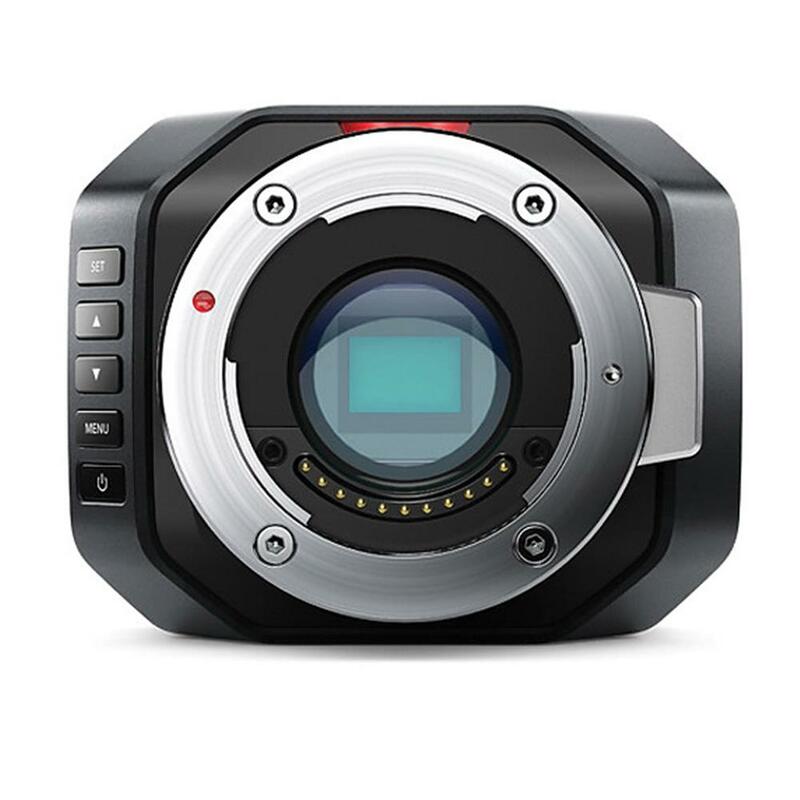 If you're working in HD or Ultra HD the Micro Studio Camera 4K can easily handle both. 3.5mm headphone socket that supports an iPhone compatible mic so you can use it for talkback. 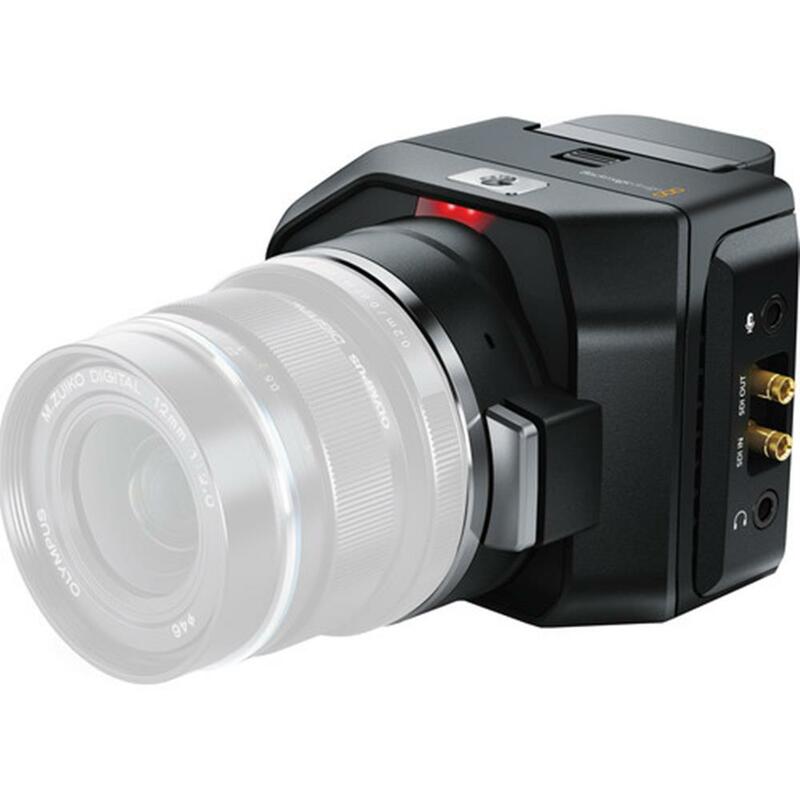 The Blackmagic Micro Studio Camera 4K works with standard SDI camera control protocols. That means you can connect the program feed from any model of ATEM Switcher to the camera's SDI input and remotely control any setting in the camera, color correct or even change focus, iris and zoom on supported lenses. Broadcast cameras traditionally have basic CCU color balance controls, however the Micro Studio Camera 4K includes a full DaVinci primary color corrector so you get so much more than simple CCU controls because you can also do a full color grade in the camera. Now the technical director can fine tune the settings and match the looks of cameras quickly. The built in row of buttons along the front of the camera gives you quick and easy access to power, menu navigation and settings. Because they're on the front, the buttons are always accessible, even when rigged into tight locations. Simply plug into any HDMI display such as a TV or the portable Blackmagic Video Assist so you can see the camera's menus and you can easily change any of the camera's settings. You can use the menus to set the camera up and then that allows the switcher to take control of the camera via the SDI program input. 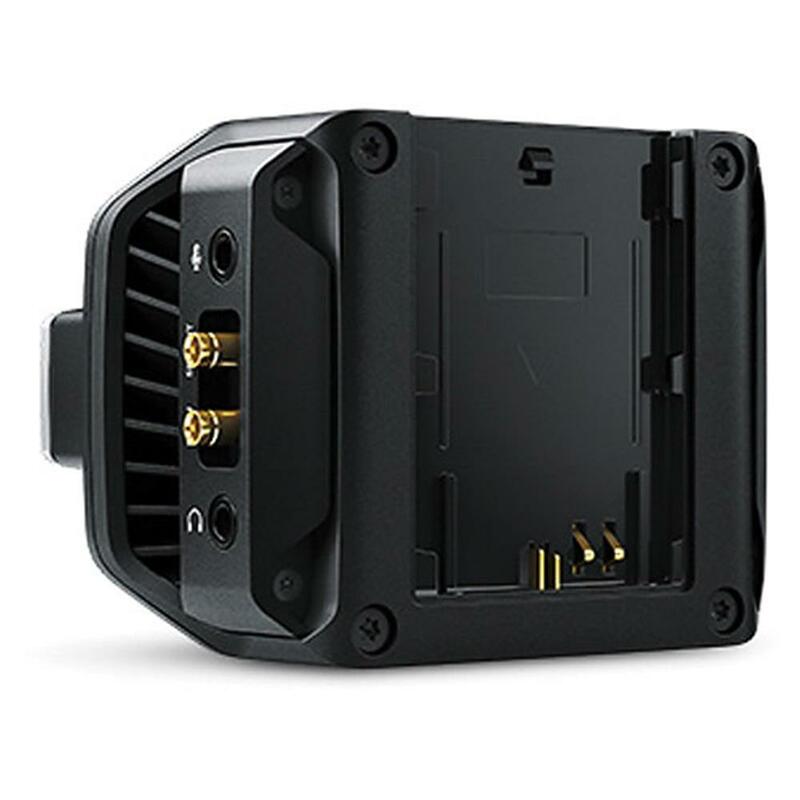 The built in stereo microphones are engineered for high quality audio and feature a mechanical design that helps reduce unwanted wind noise so you get great sounding audio. When you need better audio in windy outdoor conditions such as sporting events, you can plug in an external mic with a wind sock to capture clean sound! The camera instantly switches to the external microphone when one is connected and can work with both line or mic levels. Whether you're using the built in microphones or attaching one from the outside, the audio is embedded into the SDI video output so you get perfect audio and video sync! 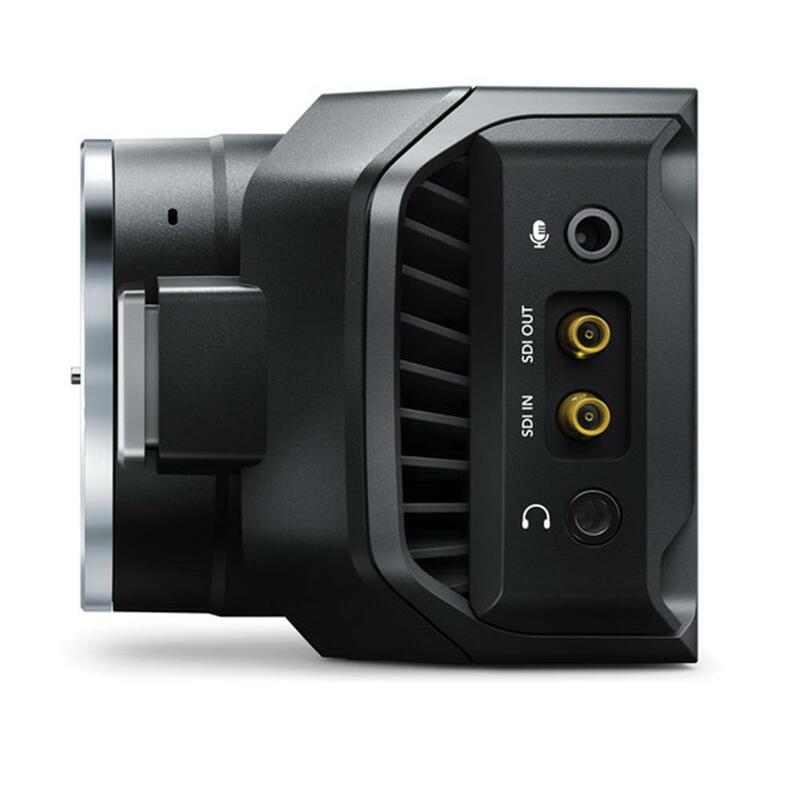 The Micro Studio Camera 4K includes an iPhone style headphone socket with mic so you get full talkback support. You can also use standard noise canceling headsets, like those from Bose, Sennheiser and more to hear the technical director without distraction from the audience. Because the camera has an SDI connection to the switcher and an SDI connection from the switcher the talkback audio is embedded into channels 15 and 16 of the SDI signal and you get two way communication. If you're setting up fixed cameras, talkback makes it easy to walk from camera to camera and plug in your headset to communicate with the rest of the crew to get the best angles and framing. The expansion port combined with the flexible MFT lens mount and external mounting points gives you a massive amount of options for customizing your studio camera! You can use the camera remotely by itself, or you can add accessories to rig the camera so you can build your own custom studio camera! Add 3rd party lenses from companies like Olympus, Panasonic and others, or use an adapter to work with a wide range of B4 lenses or even feature film PL lenses! Two 1/4" mounting points are on the top and bottom of the camera so you can tripod mount the camera and add local monitor to use as a viewfinder. You can even add an external recorder to build a custom Ultra HD video camera.